Sean Lewis as well as artist Alexandra Tabas. 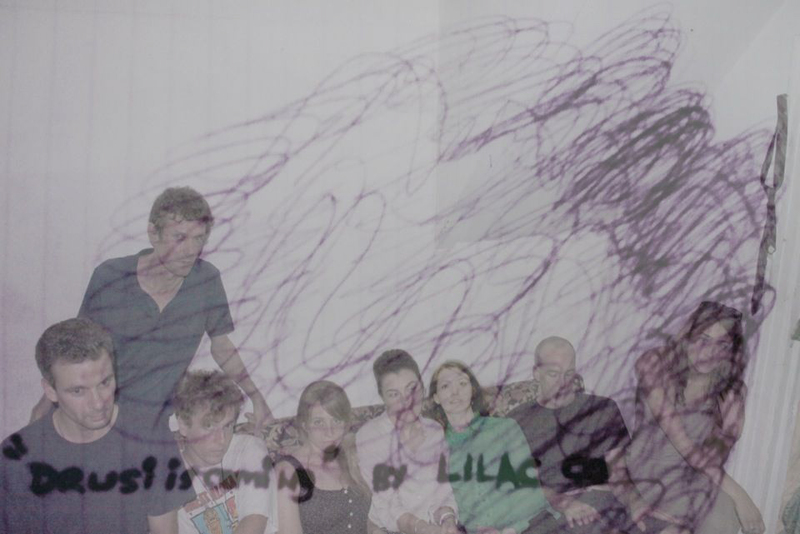 Lilac Co. originated in 2007 in the basement of the Evangelical Lutheran Church in Greenpoint Brooklyn, with the performance of “Just Another Cowboy Lost in Steinland” - a work that performed ROOMS by Gertrude Stein in its entirety. In the summer of 2009 Lilac Co. began operating out of an abandoned storefront at 94 Norman Avenue in Greenpoint, Brooklyn. Through the fall of 2012 Lilac Co. created and presented seven original full-length works at this location, including a movie, “Storefront” shown at the Segal Center’s International Film Festival on Theatre and Performance (FTP) in 2017. In July of 2011 SITUATIONS Co-Founder Mariah Robertson was drawn to the peculiarly obscured glass display cases of 94 Norman Ave. When Robertson discovered the curtained storefront was Lilac Co.’s performance space she returned to see that summer’s Lewis original “Macbeth Family Reconciliation Project”. The following year Mariah again visited Norman Ave for “Jinx” 2012. After these initial introductions to Lilac Co. Robertson and Lewis formed a lasting friendship founded in celebrating the intersection of performance and studio art. Lilac Co. August 2012 "Drusi Is Coming"
Alexandra Tabas is a performance artist based in New York City by way of Hawaii and California. She is an adventure enthusiast, surfer, certified rescue/shark diver, and holds 2 degrees from the University of Hawaii. Alexandra can be seen on screen and on stage in various projects throughout the year. She is grateful to be a part of this exciting production with Lilac Co.
Eric Magnus is a theater artist and media designer based in Brooklyn, originally from Akron, Ohio. He has made performance work for the last ten years in New York City, Ohio, and Europe. As an actor Magnus has appeared in Richard Foreman's Astronome, his collaboration with John Zorn at the Ontological-Hysteric Theater, and Idiot Savant, alongside Willem Dafoe at the Public Theater. Eric has directed and designed many independent theater projects, including, Boat (Incubator Arts Project), Moat's Ear (AXA-in-Action Festival in Prague, Czech Republic), as well as, Pierrot and i i i i at Lilac, Co.’s former storefront space in Greenpoint, Brooklyn, all with the performance collective Magnus, Miller, Truman & Murdock. Media design work includes the interactive performance installation Space Pod (ART/NY South Oxford Space), with Lisa Szolovits, and the participatory art project What Is Wild, in residency at Queens Museum. He is currently the office manager for Richard Maxwell / New York City Players. Eric is a graduate of the Performance and Interactive Media Arts MFA program at Brooklyn College.